WhoHaha, the digital content studio and creator community founded by comedian, actor, producer, and director Elizabeth Banks in 2016 with a mission to “develop opportunities for comedic female creators and bring ideas to life,” has launched the first podcast network to exclusively feature female and nonbinary creators. The network is kicking off with a lineup of three diverse podcasts. Dirty Girl, hosted by Heather Ann Gottlieb, invites women on for frank chats about their “disgusting habits, taboo secrets, and unruly pastimes.” Body-positive podcast Woman of Size, hosted by comedian Jana Schmieding, explores body diversity and body politics with a lineup of funny guests tackling serious topics. And finally Gender Fluids, hosted by Arielle Isaac Norman, who is genderfluid, and Austin Smartt, who is a trans woman, takes a candid, darkly funny look at sexuality and gender. Creators who join WhoHaha, whether they’re coming in with up-and-running podcasts or freshly-baked pitches, will have access to production tools provided by the network. And, of course, they’ll have their podcasts distributed through the network’s hub, as well as on popular podcast listening destinations like iTunes and Spotify. WhoHaha’s also providing common network marketing support, including media spotlights, arrangement of live events, and especially cross-promotion with other podcasters. The initiative is ultimately about “fostering a community within the network so that everyone’s able to grow as the network grows,” WhoHaha CEO Luigi Picarazzi says. 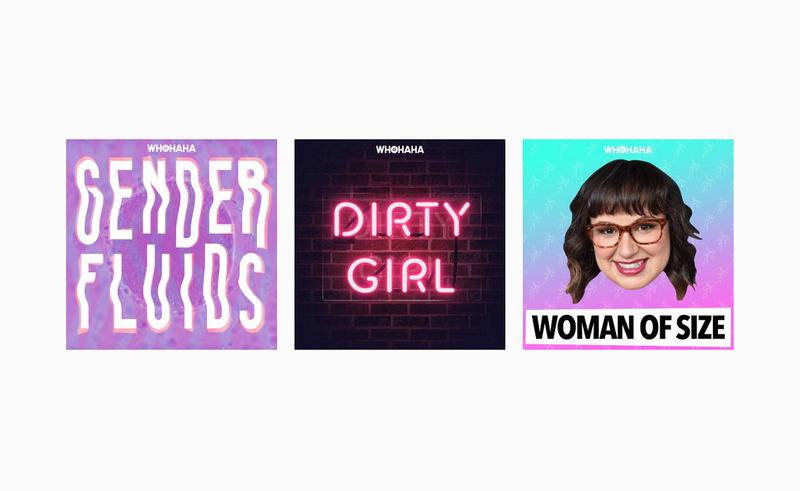 The network’s first three podcasts can be found on WhoHaha’s website: Dirty Girl here, Woman of Size here, and Gender Fluids here. To catch a glimpse of each podcast’s host, check out the network’s trailer below.